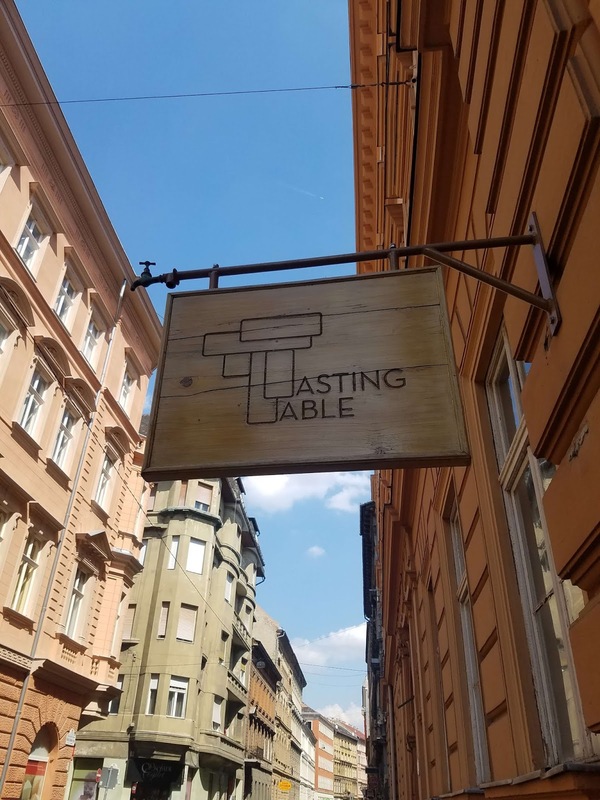 During a recent trip to Budapest we stopped in to partake in a range of Hungarian wines styles and regions. 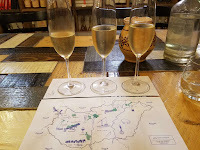 Our host Tamas started by introducing us to three Brut sparkling wines beyond the more familiar Törley brand. These wines were well made and delicious showcasing different wine regions and grape varieties. The Pelle Pince Tokaji Pezsgo is made using Furmint grapes grown in the far eastern Takaj region. 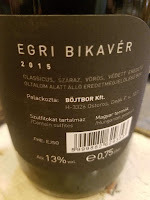 The Rókusfalvy Birtok Nyerspezsgo is comprised of Pinot Gris and produced just west of Budapest in the white grape growing region of Eytek-Buda. And finally, the Frittmann Gold Brut is produced in the Great Plains in Hungary's largest wine region, Kunsági, where vines share space with the Hortabagy horses. This is a proprietary blend of grapes which add velvety texture to the wine's bready effervescence. We then moved down the dry Furmint path featuring the Hétszölö Tokaji Furmint 2012 and Fuleky Tokaji Furmint 2014. 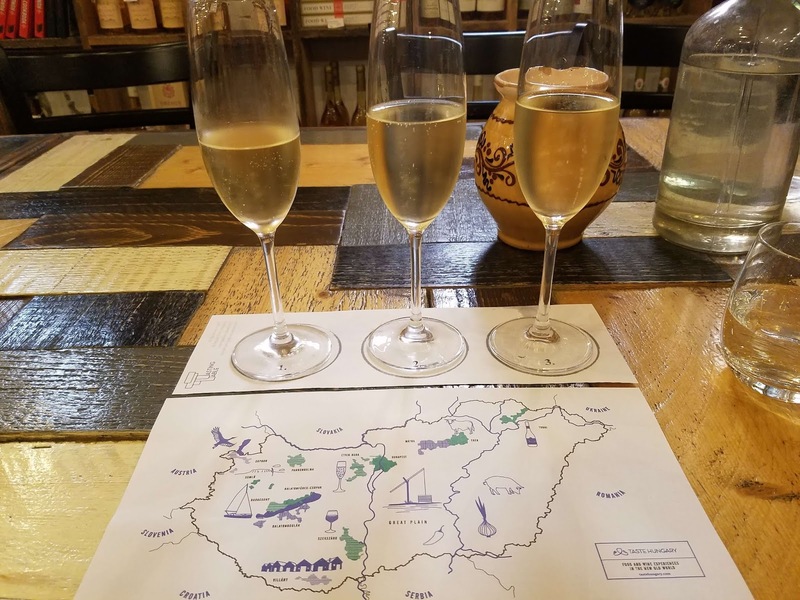 The historic Tokaj region is most famous for the Tokaji Aszu dessert wines but the volcanic soils can also produce minerally driven and racy dry wines. That was particularly true with the Fuleky whereas the Hétszölö contained significantly more depth and texture for this style. Tamas then presented a few wines creating excitement such as the Böjt Egri Bikavér 2015 and the Böjt Egri Csillag 2017. 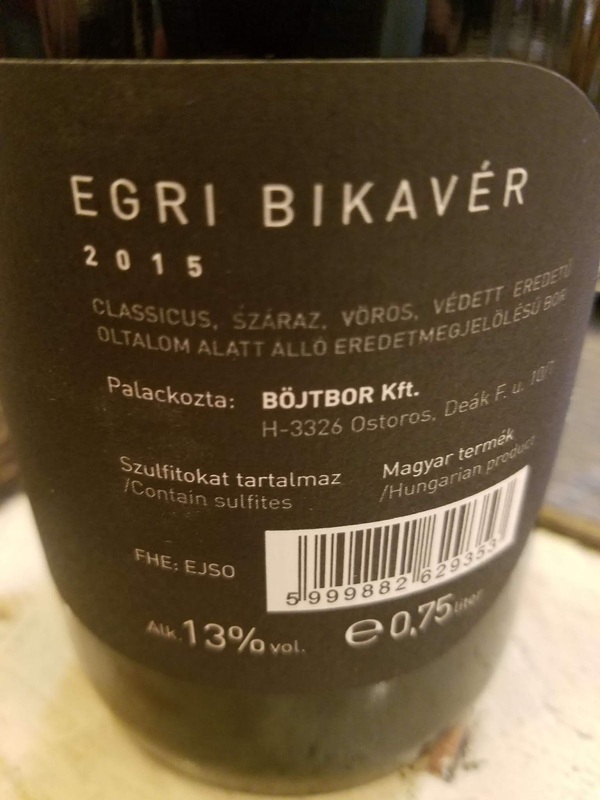 The Böjt winery is located in Eger - home to the historic Egri Bikaver once dominated by native grapes such as Kadarka and Kékfrankos but now produced with large percentages of Bordeaux varieties. The Böjt Egri Bikavér provides layers of texture as it is drawn from 25 barrels of differing size and toast. It is also predominately Kékfrankos (Blaufränkisch) blended with lesser amounts of Cabernet Sauvignon, Zweigelt (a cross between Blaufränkisch and St. Laurent) and Blauburger (a cross between Blauer Portugieser and Blaufränkisch). 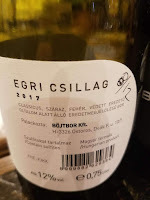 The white Böjt Egri Csillag has similar depth but with creamy stone fruit and fresh acids and is a blend of Sauvignon Blanc, Olaszrizling (Welschriesling), Leányka and Muskotály (Muscat Ottonel). Excellent. Szekszard is an interesting region located on the left bank of the Danube in southern Hungary just to the northeast of Villany. 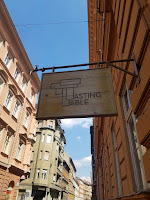 It is best known for producing full-bodied and spicy red wines and is one of the oldest red-wine-growing areas in Hungary as the Celts first planted grape vines. 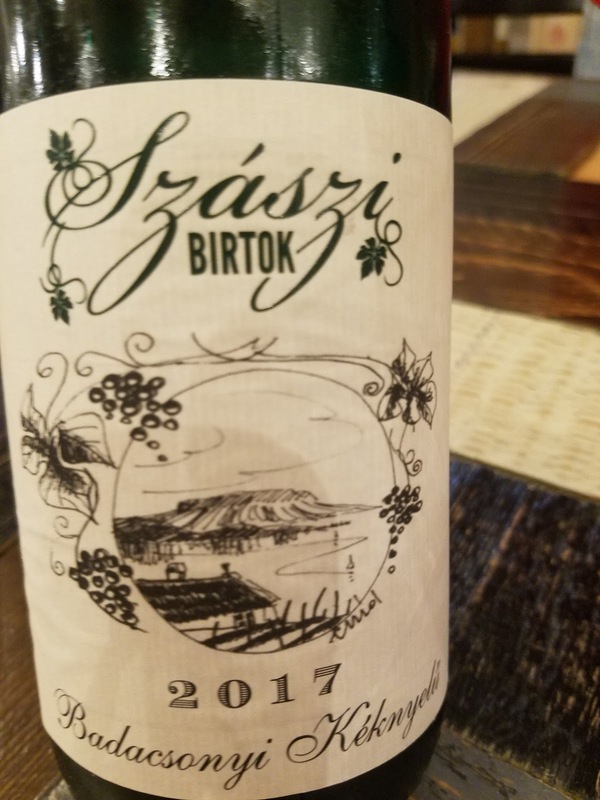 The Németh János Sygno Szekszardi Bikavér 2015 is an excellent example of a spicy full bodied red as it is a blend of Kékfrankos, Kadarka, Zweigelt, Syrah, and Cabernet Franc.Nicely done. The highlight of our visit however was the Szaszi Birtok Badacsonyi Keknyelu 2017. This is a very small release from a producer located in one of the micro climates on the hills north of Lake Balaton. Kéknyelű is grown almost exclusively in Badacsony, translates to Blue Stick, and exudes stone fruit -- peaches and apricots -- before finishing with racy minerals and juicy acids. This wine would be so popular in the U.S.; but for now you can only get it at The Tasting Table. Cheers. 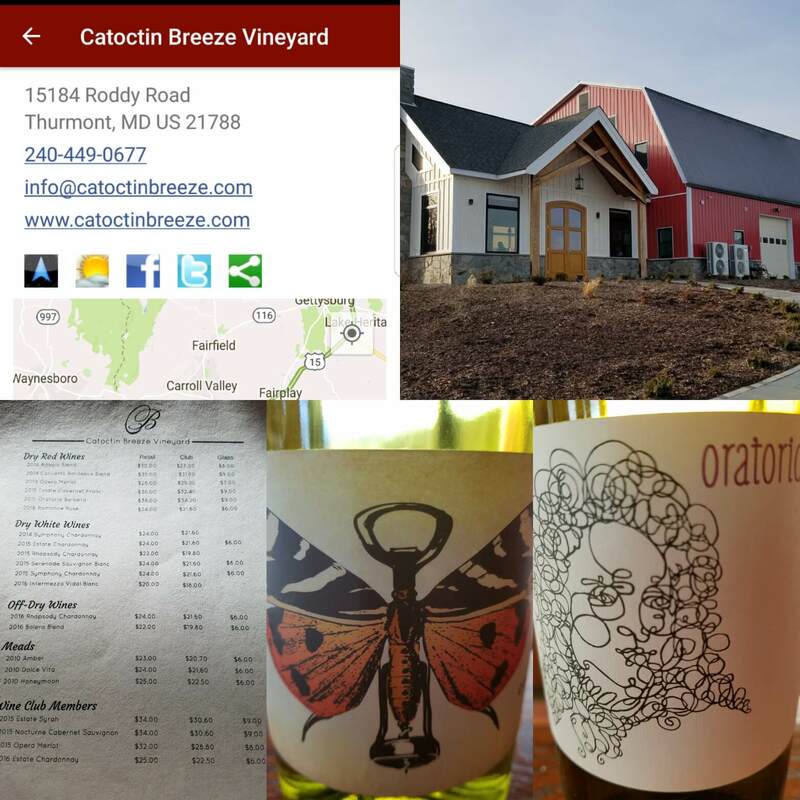 Catoctin Breeze is located north of Frederick Maryland on Route 15 between Thurmont and Emmitsburg. 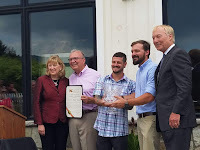 It was founded in 2010 when Voytek Leon Fizyta planted two blocks of vines along a hill slightly east of the Catoctin Mountains. These blocks consisted of Cabernet Franc, Syrah, Chardonnay, and Viognier. The well draining, loose, alluvial soil contains some quartz deposits which assist in preventing frost prevention as well as the ripening of fruit. The estate also receives a consistent breeze from Owen's Gap - keeping the vines ventilated helping to prevent mold formation - which is also limited by abundant morning sun. Today there are 7,000 vines carefully maintained by Vineyard Manager, Larry Sipe. 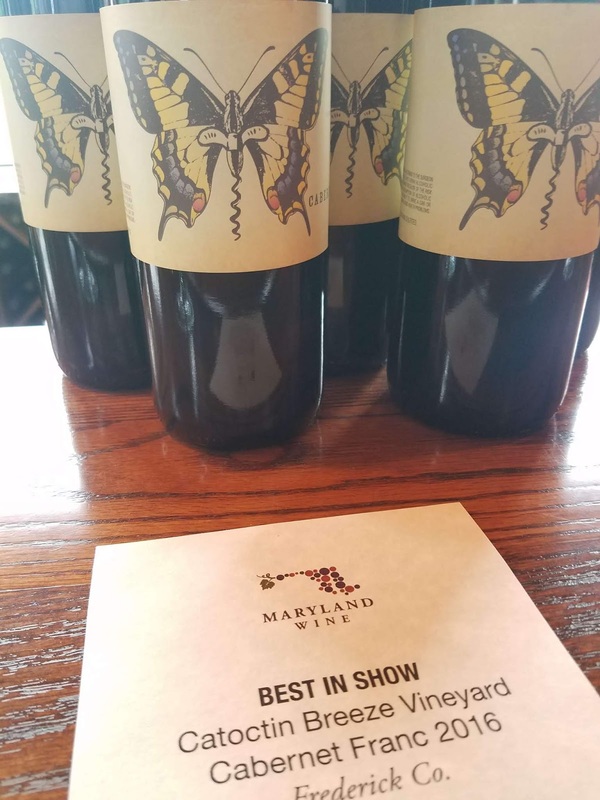 The winery also augments their portfolio with fruit grown from a vineyard in St. Mary's Maryland - a sandy coastal region. Visitors are normally either touring wineries or taking side trips after visiting Liberty Mountain Resort, Cunningham Falls State Park, or the Catoctin Zoo and are offered three tasting packages: Signature ($10), Premier ($12), or Sweet ($8) - the later including three Mead wines. I generally prefer the Premier tasting as it usually includes wines available in the wine club. In my previous visits this has included different vintages of the Serenade Sauvignon Blanc ($24), Estate Chardonnay ($24), Estate Cabernet Franc ($36) , Concerto Bordeaux Blend ($35), and the Oratorio Barbera ($38). As you can tell, the brands have a classical music theme. The Comptrollers Cup 2016 Estate Cabernet Franc is a treat and while sampling you can view the actual cup behind the tasting bar. The wine starts with black fruit and leather on the nose which transitions into the mouth feel where hints of tobacco and dirt round in before seguing to a long and soft finish. A cup worthy wine. After sampling the wines kick back on their large back lawn to view the vines and let the kids and dogs play. The winery hosts food trucks on weekends as it has no other food options and the food trucks are usually paired with a musical act. In conclusion, I make Catoctin Breeze Vineyard a regular visit; you should as well. 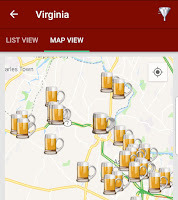 And as always theCompass Craft Beverage Finder will help in that regard. 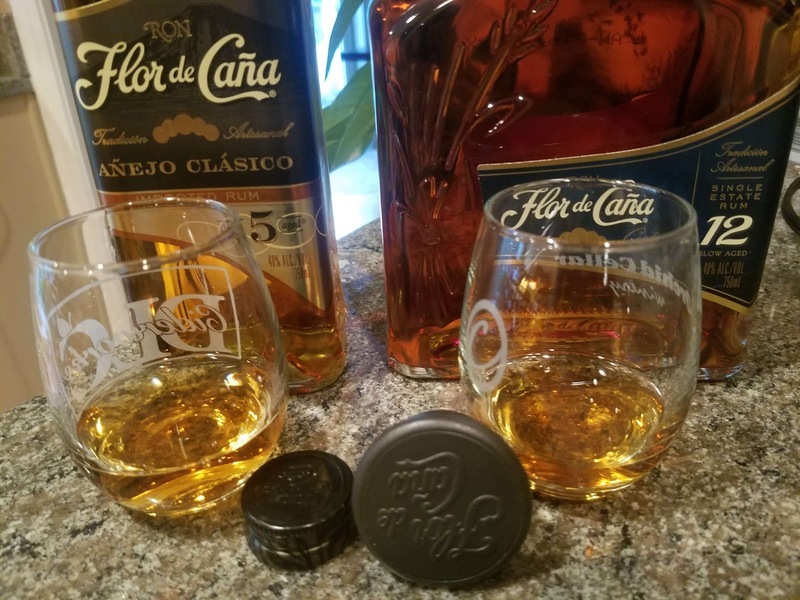 Over 125 years ago in 1890, Francisco Alfredo Pellas built the first distillery of what was to become Flor de Caña at the San Antonio Sugar Mill in Chichigalpa, Nicaragua. Its location at the base of the most active in Nicaragua (San Cristobal volcano) provides a multitude of favorable conditions to creating a fine aged rum. It starts with the rich volcanic soil where the sugar cane benefits from the warm, hydrated, and vitamin-rich soil which also is naturally protected from insect predators and erosion. Second, the distillery is able to use enriched volcanic water in distillation that not only contains a bit of calcium, magnesium and sulfate but is also filtered from impurities by the volcanic rock. And finally the hot volcanic climate exposes the small (180 liter) white oak barrels to varying levels of heat during the again process. 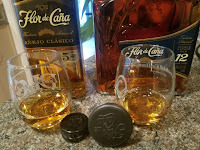 I recently purchased two versions of their rum, the Flor de Cana 12 Year ($34) and the Flor de Cana 7 Year Gran Reserva ($18). As expected the 12 Year is much more integrated with a honeyed nuts and caramel aroma, sweet almonds and buttery vanilla in the middle, and finishing with a toffee and lingering smokiness. On the other hand the 7 Year had a more dispersed profile and more petrol but many of the same characteristics including more tropical notes. So pick your price point. Many of the worl'd great wine regions contain a fair amount of volcanic soil and that includes the numerous DOCs in Campania - residing under the shadows of Mount Vesuvius. Over 20 years ago the Capaldo and Ercolino families established Feudi di San Gregorio in the tiny village of Sorbo Serpico in order to produce wines from indigenous grapes well suited to the porous volcanic soils of Mount Vesuvius. These high-altitude slopes also provide mild winters, long growing seasons with dry, hot summers, an abundance of sunshine, mild winters, large diurnal temperature variations -- all help to slowly mature the grapes and retain abundant acidity. The vineyards are situated in Campania, the "shin" of Italy's boot and anchored by its capital Naples. It is one of Italy's oldest wine regions - influenced by Greeks, Romans and Byzantines as well as possibly pre-Roman civilizations. Aglianico is the most important grape variety and it grows throughout Campania, but particularly where the coastal Mediterranean breezes blow in from the Tyrrhenian Sea to cool the grapes in the evening. Further inland, the Falanghina grapes grows where there is more rainfall providing more fragrant notes. 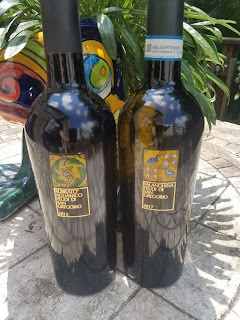 Recently I received two of these wines Feudi di San Gregorio that showcase the true nature of the region and the grapes. Cheers. Sannio is a DOC region within Campania situated in the hills north of Naples but still influenced by Mount Vesuvius and the DOC requires that the grapes be sourced from hillside vineyards. Thirteen years after Sannio gained DOC status, Falanghina del Sannio gained DOC status in 2010 as Falanghina was singled out as a key grape variety. This wine is fermented and aged in stainless-steel - the later on its lees - providing the clear characteristics of the grapes along with needs depth and texture to balance the wine's freshness. The floral aroma is intense followed by abundant stone fruits and finishing with racy mineral acids. A summer treat. Situated west of Naples under Mount Vesuvius, Irpinia gained DOC status in 2005 and the grapes for this wine were gown between 1,000 and 1,600 feet above sea level in porous soil saturated in ash and fallen pumice. Rubrato translates to "brilliant ruby" which is immediately apparent when pouring a glass. The wine encounters no oak treatment and is aged eight months in stainless steel and a minimum six months in bottle before release. Thus the wine displays Aglianico's naked character - fruit forward dark cherries and plums, black pepper and tea, with a mildly silky depth and a fresh, spicy finale. This is some amazing juice - straight juice. Cariñena is not only the second oldest region in Spain, but is also home to its own varietal and appellation. Cariñena (Carignane) is a Spanish Denominación de Origen (DO) located in the Ebro Valley of Aragón midway between Barcelona and Madrid that was designated in 1932 -- although it's winemaking traditions can be documented as far back as the early 15th century. In fact the region's vines survived the devastating European Phylloxera epidemic because the lousy mite that caused the disease couldn't survive the soil's stoney and sandy nature and a marketing mantra “Crafted in Stone” is now utilized. Grape quality is not only maintained from these well drained soils but also the large diurnal temperature swings due to the region's elevation, proximity to the Ebro River and the Cierzo winds. These factors help the Garnacha, Cariñena, Mazuelo, Tempranillo, Viura, Chardonnay, and Parellada grapes develop character and retain acidity. Today the Cariñena wine region boasts 1,600 growers; 35,000 acres of vines; with many of theses small growers belonging to cooperative wineries. 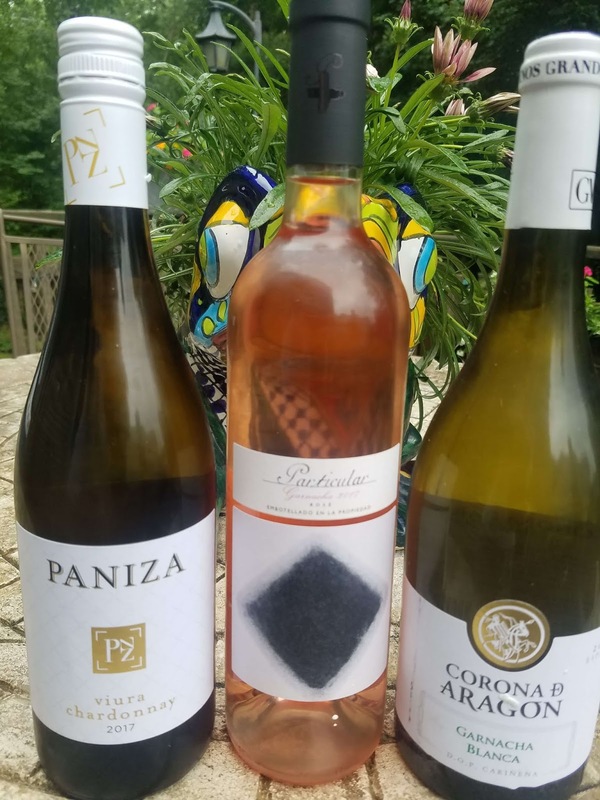 I recently received two white wines and a rosé that the refreshing nature of wine from this region as well as a Cariñena Regional recipe. It's time to #CoolDownwithCariñena. Cheers. 2017 Corona D Aragon Garnacha Blanc D.O.P. Cariñena - includes some Chardonnay - lemon and fresh pear on the nose, stronger grapefruit and shades of minerals, before finishing with a fresh finale. 2017 Paniza Viura-Chardonnay D.O.P. Cariñena - this is a 50-50 blend of the two grape varieties that provides citrus, cream, and softness before leaving with a lingering and lively finish. 2017 Bodegas San Valero Particular Garnacha Rosé - is all berries throughout the experience, depth and minerals, and lively refreshing acids. Creative destruction resides in the NOVA craft beer market as one brewery closes several open to take its place. And we recently visited four infants in Northern Virginia. During a previous wave of new openings Brian Reinoehl visited Bad Wolf Brewery in Manassas and felt the bug. 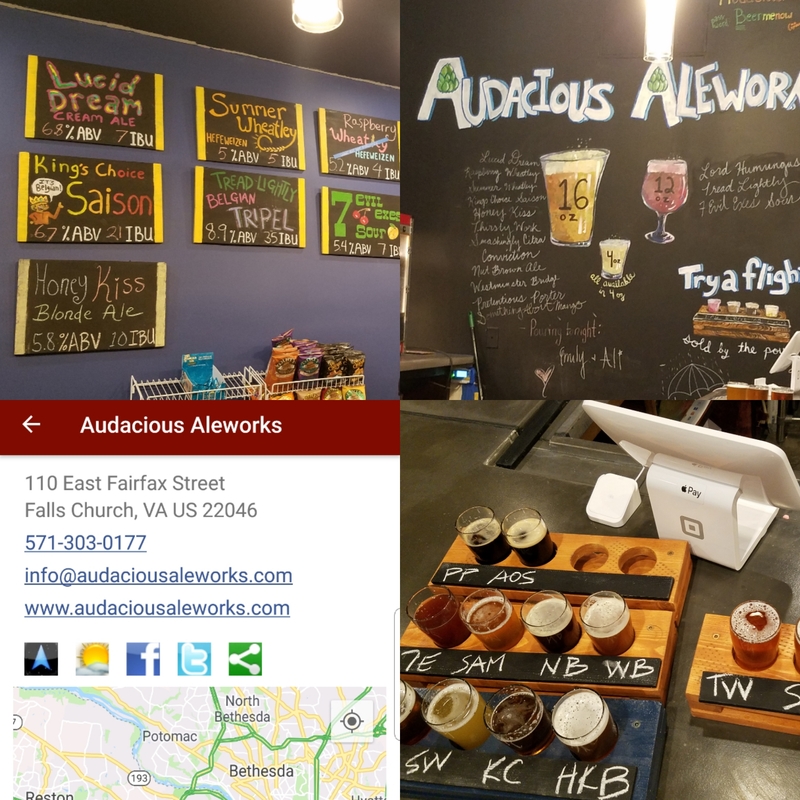 He and partner Michael Frizzell spent the next five years immersed in the beer industry starting with a one-barrel system and eventually selling their IT business to open Audacious Aleworks (#60). They had intended to open in the Mosiac District where Caboose Brewing will soon open their second facility but found the City of Falls Church a more cooperative environment. They officially opened about a month ago slowly increasing their portfolio to the present 15 beers. That means plenty of opportunities to find one you like and I did with the Westminster Bridge ESB -- feels like sitting in a British pub. Other solid beers are the Pretentious Porter, Kings Chance Saison, 7 Evil Exes Sour, and Conviction IPA. 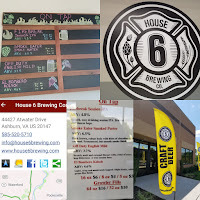 Ashburn's House 6 Brewing Company (#61) was instantiated by a similar passion for craft beer this from volunteer firefighter, Rolando Rivera -- not surprisingly some years spent at Station 6. However, Rivera took a less prolific model and opened last weekend with just four beers on tap. And these beers are fantastic. The 4.6% El Bombero Kölsch is a light and fresh beer well suited for the cyclist venturing off the WO&D. The Firebreak Session IPA weighs in at a similarly low abv and packs plenty of flavor for this session beer. The same is true for the ridiculously tolerant Off Duty English Mild (3.7%) where the malt and caramel meld into a delicious beer. And equally so is the Smoke Eater Smoked Porter where the chocolate transitions to a rauchbier finish. Fantastic. 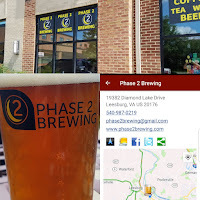 Our next stop, Phase 2 Brewing (#62), is a tiny brewery - a nano's nano - that pours to house brewed beers at Brew LoCo, an independent coffeehouse and homebrew shop opened in 2014 by sisters Cathy Frye and Mary Battaglia. 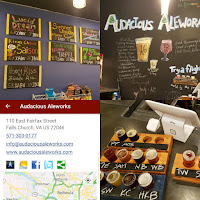 They normally have two or three beers surrounding their nitro coffee tap and during our visit it was the Mango Mama DIPA and Lunar Eclipse Imperial Stout. Both weigh in at 8% and are quite interesting with the DIPA tasting like Werther's Original and the stout a nutmeg chili chocolate beer. Quite interesting. 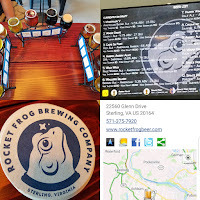 Our final stop, Rocket Frog Brewing Company (#63), has made a quick name around town and we visited the Sterling brewery to discover if its more than a flying frog. Twin brothers David and Richard Hartogs leveraged an affinity for Dogfish Head, a Belgium heritage, and another brother's west coast palate to create a well balanced lineup. These dozen beers can be viewed on UnTappd and are worth a short detour off the WO&D to investigate. Start with their sours as their Warp Dive and Warp Drive w. Cherries are not over the top, just tastefully done. The Wallups Island Brown Ale and Croak at the Moon Saison are spot on regarding style but the Paper Wings Pale Ale was easily my favorite. And for dessert finish with the Space Port Porter and he same on nitro. 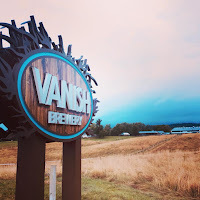 The county is home to 30 breweries and tasting rooms ranging from pioneers like Lost Rhino Brewing Co. to nanos like Loudoun Brewing Company and Black Walnut Brewery, with a few farm to glass breweries in between. 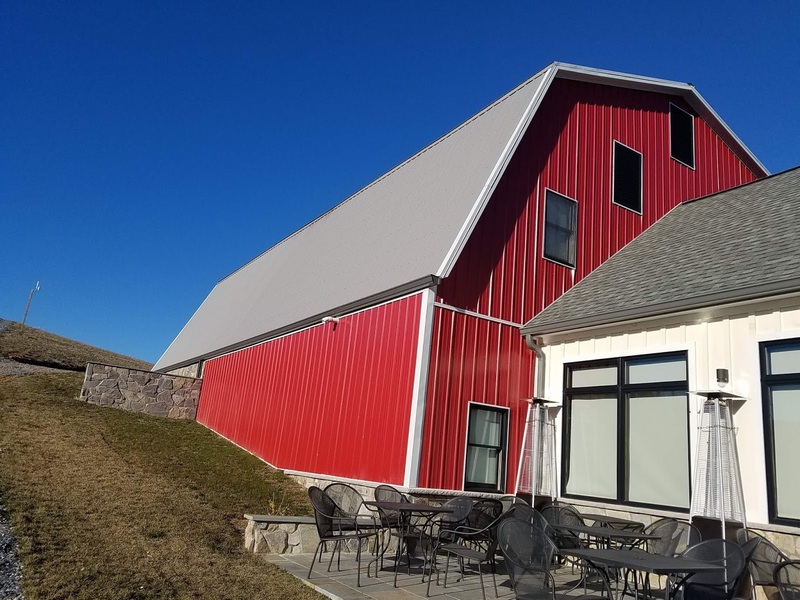 The county believes the later are vitally important for economic development as they not only preserve open spaces from housing construction but all help spur the local agriculture economy. Attendees will visit one of these farm breweries, Vanish Farmwoods Brewery, during the Friday night Loudoun County Reception & Dinner. 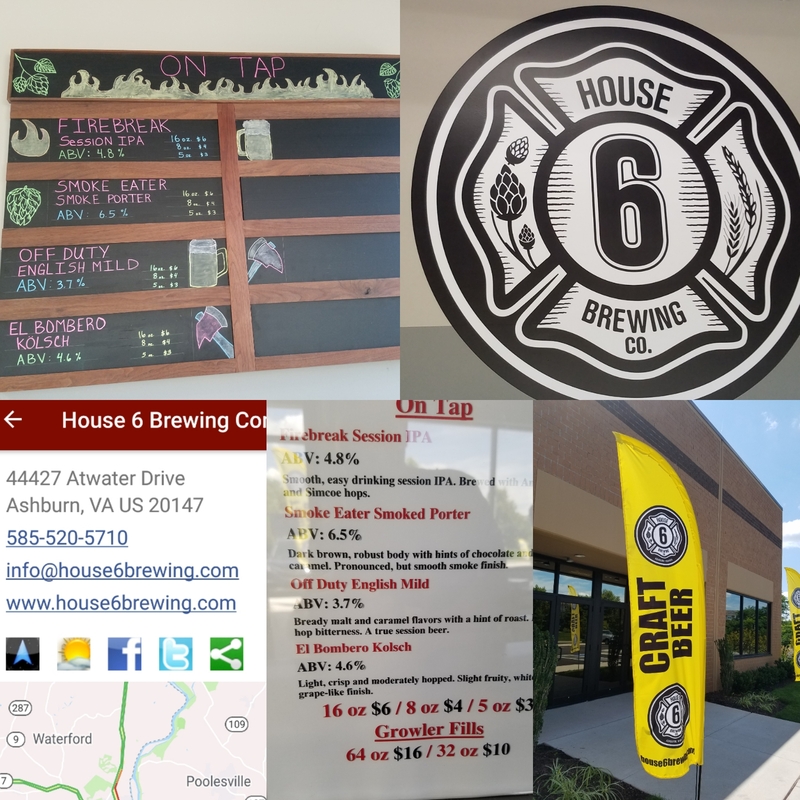 eight-five percent of the county's breweries will be pouring and the host brewery will be pouring a "ton of variety of great beer!" says Tommy Skelly -- Director of Marketing, Sales, and Taproom Operations. They will have over 20 beers on top covering as many styles as possible and this time of year expect am IPA and Sour heavy lineup and Skelly emphasizes that their Lime Gose has been a hit. 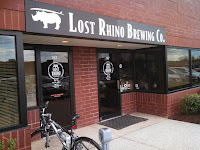 There are also two other breweries hosting events Lost Rhino Brewing Co. and Crooked Run Brewing Sterling. 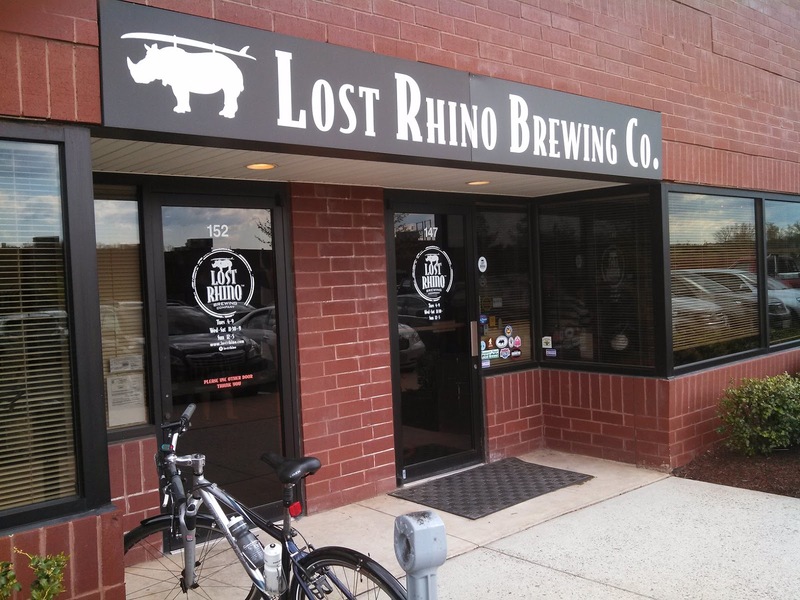 Lost Rhino was the first post-Old Dominion Brewery in Loudoun and were pioneers in not only starting their brewery but the first in the county to adopt canning. Their Rhino Chasers Pilsner and Face Plant IPA are well distributed and popular brews. Crooked Run started as a nano brewery in downtown Leesburg (see next paragraph) and quickly gained traction for their creative recipes. As demand increased they opened a larger facility where they are hosting a pre-conference lunch and tour excursion Thursday afternoon. Just hope that the Neopolitik Milk Stout and Double Vibes Berliner Weisse hasn't kicked. 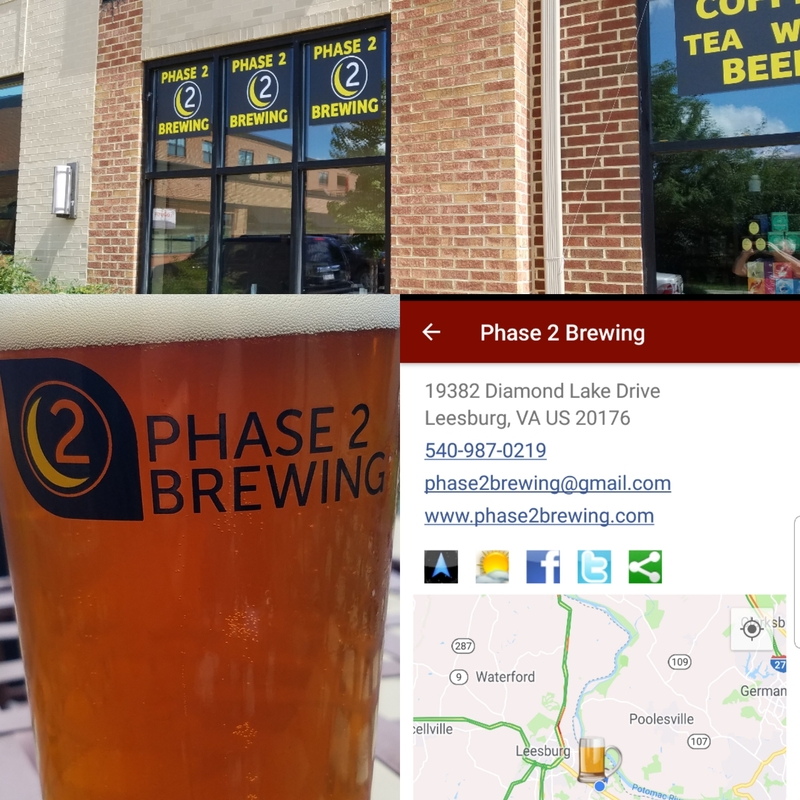 For attendees who have flexible travel plans or who are arriving or departing with extra free time, then consider a walking brewery tour of downtown Leesburg. Park or get dropped off near Market Station where both Crooked Run Brewing and Wild Hare Cider are located adjacent to each other. This is the original location of Crooked Run where they produce small batch and experimental beers and always something interesting n tap. For a change of pace Wild Hare offers delicious hard ciders particularly their dry-hopped Hopscotch. Heading towards the Government Center Bike TrAle Brewing is on the left of Loudoun Street incorporating a bike theme (yards from the WO&D bike trail) with a nice range of styles. 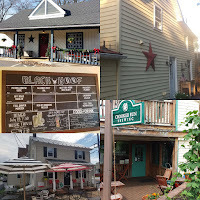 Take a left on Church street to discover the hidden oasis of Black Walnut Brewery or continue up Loudoun and hang a right on King Street to sample the European portfolio of Black Hoof Brewing Company. 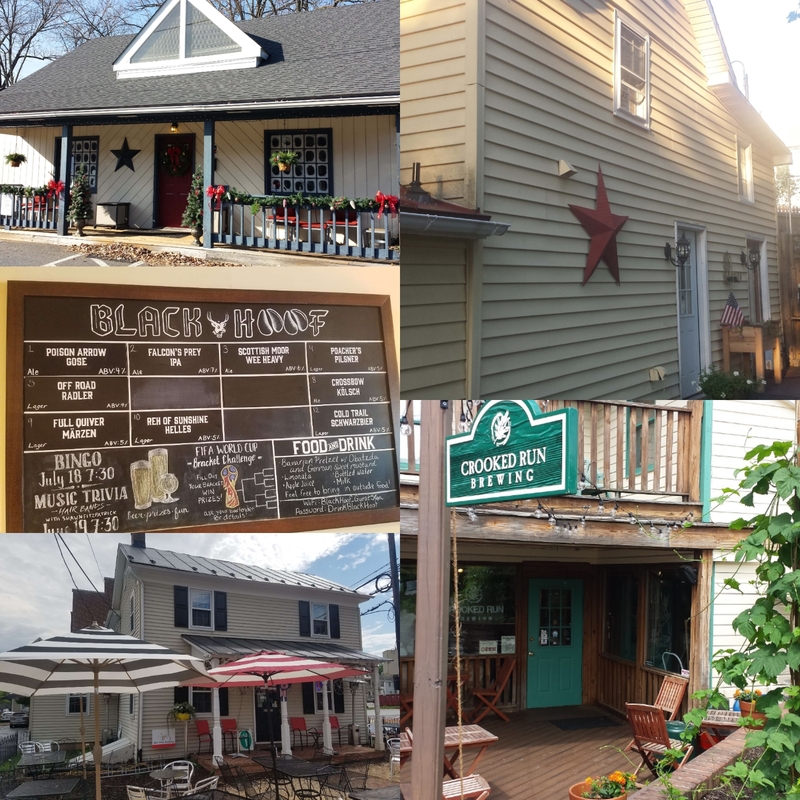 Then take a right on Edwards Ferry then E. Market past the historical Marshal House to Loudoun Brewing Company. Patrick Steffens can only brew eight beers at a time from his 160 recipes so the lineup is always in flux. And on your return walk, munchies are available at Mom's Apple Pie Bakery. 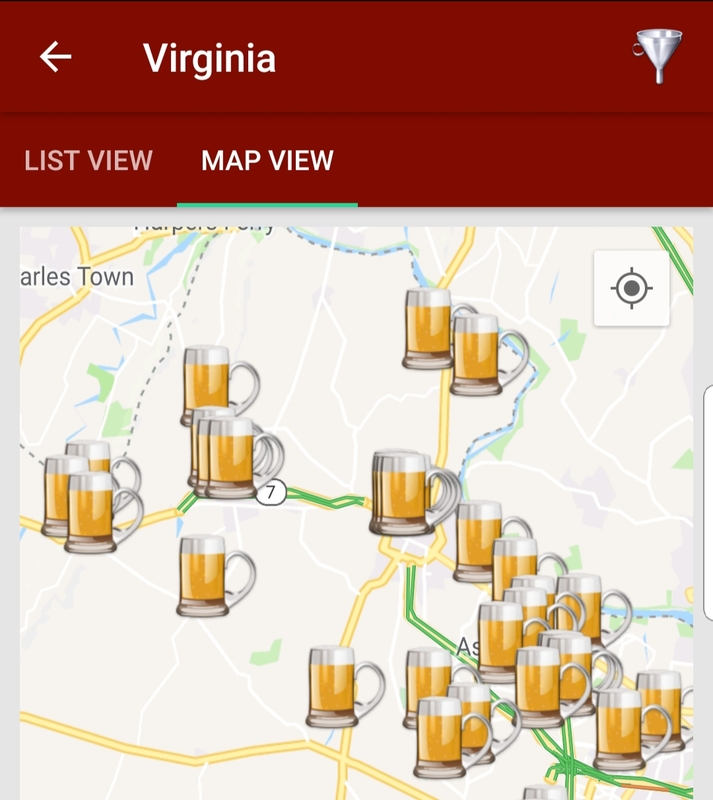 And as always, theCompass Craft Beverage Finder will assist in your beer travels. Cheers.